The Palax D360 is a brand new update to the previous popular KS35 series. The new Palax D360 focuses on practicality and technical features without compromising on the impressive design. The Palax D360 is more powerful and quicker to use. The reliable log presser has reached a new level of functionality, and the adjustable wood length stopper has also seen some improvements. In order to facilitate chain saw maintenance and increase the visibility to the channel, we improved the design of the safety net. The new Palax D360 has 20% larger oil volume, which significantly decreases the oil temperature. 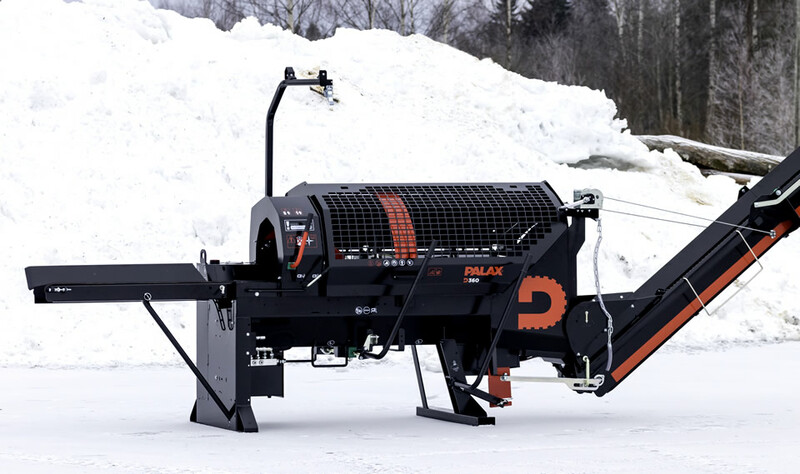 In terms of comfort of use, the Palax D360 is at the top of its class. 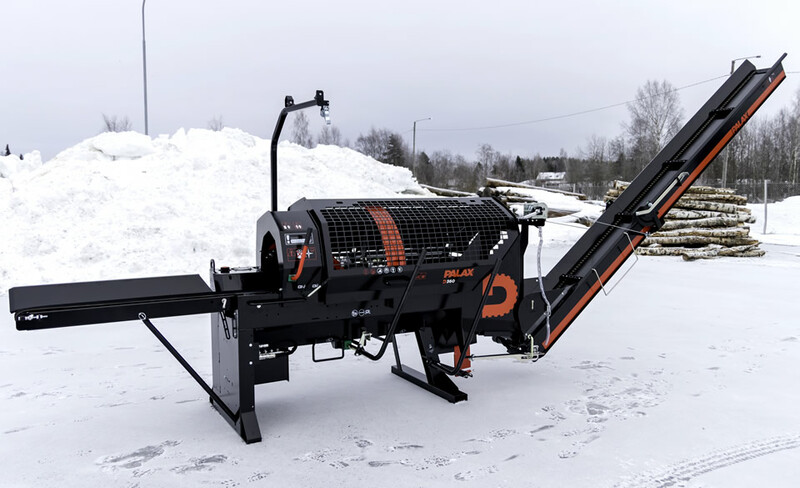 It has been equipped with a 15” chainsaw, which enables cutting logs as thick as 36 cm / 14.2" in diameter. 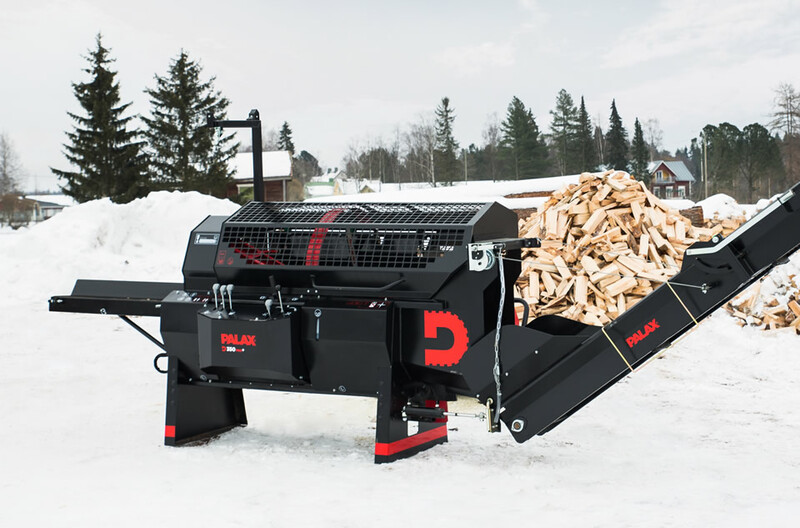 Palax D360 is an excellent choice for firewood processing especially when the thickness of the processed logs varies. 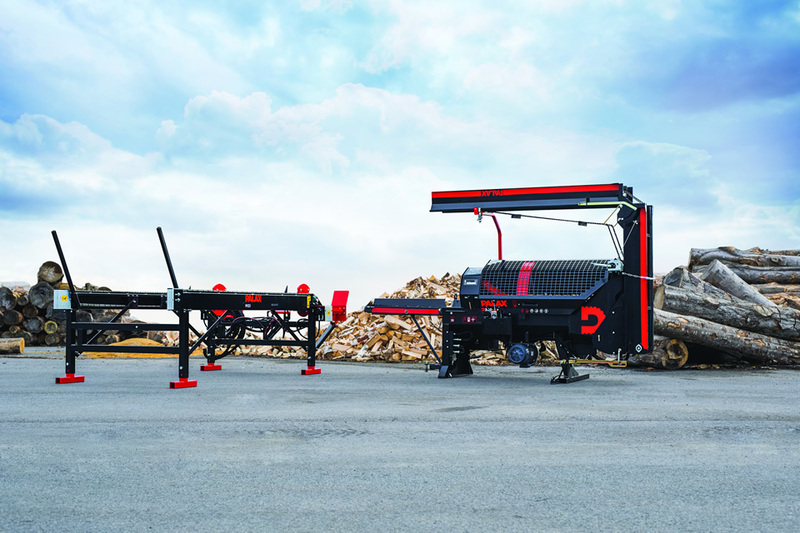 The quick, reliable input conveyor also makes the hard work easier. The automatic oiler of the chain saw lubricates the blade evenly during the sawing, so you can keep up the quick pace at all times. 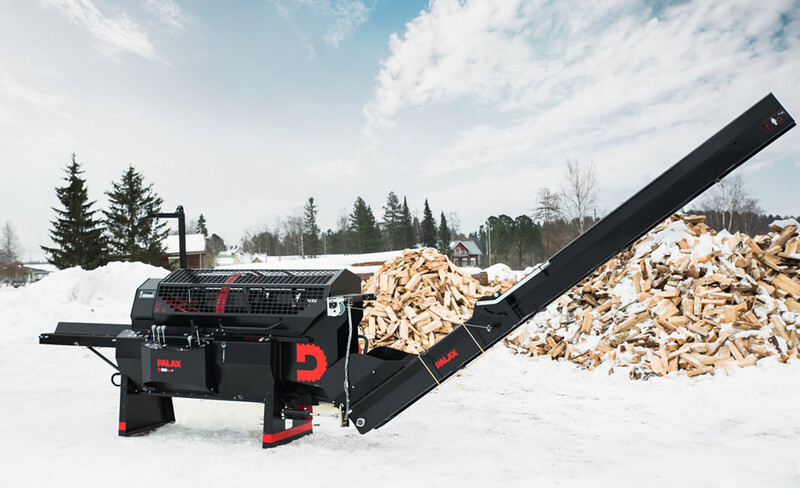 Additionally, the machine is by default equipped with a rapid motion (high-speed) valve which helps split small logs quickly and slows down only with bigger logs during the initial splitting phase when more force is required. The debris grate of the splitting chute lets through any debris from the splitting, leaving an end result of clean and easily dryable wood. If you are looking for an all-purpose tool intended for hard workers, this is the one – and it comes in a compact package that is more efficient than ever. Splitting speed and force are automatically adjusted based on the log being split. Length of log: 25 to 60 cm / 9.8 to 23.6"
In-feed conveyor belt 200 mm x 2,200 mm / 7.9" x 86.6"